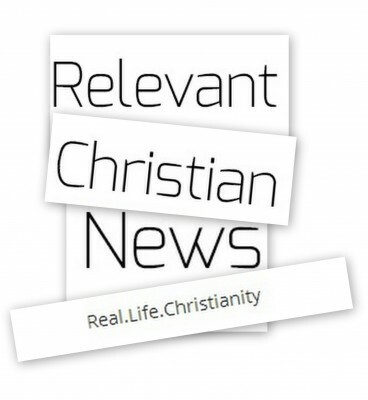 Welcome to the Relevant Christian Blog Page! We will endeavor to talk about things that will cause you to think, complain, agree, or better yet move you to action. You may read something that you don’t agree with and that’s ok. We welcome discussion. It is our hope to cause you to think, examine and maybe even call you to action. Please feel free to comment on anything you wish. Whether you agree or disagree…we want to hear what you think. We just ask that you keep it clean! Would you please inform Timmy that I’ve taken the time to post a comprehensive to you ‘Sucky Christian’ post. In my response I clearly demonstrate from scripture that Timmy’s arguements actually contradict the clear teaching of scripture. My hope is that he will read the response, consider what God’s word says and repent. Thank you Rusdy for the kind words. Salvation is about god changing our heart of stone to a heart of flesh. Jesus alone is the head of the church. We get into trouble when we judge rather than accepting god’s judgements. Jesus said, Depart from me, I never knew you, you workers of lawlessness. God hasn’t changed his mind about his moral law. Nothing new under the sun. God saves sinners. Those saved belong to him. We are his temple. We live to glorify god. If you disobey the bible, you are greiving the holy spirit. We Repent when we sin, if we belong to god. If you are an advocate for disobeying god’s word, you are rebellious and probably lost. If you are a fence sitter saying I will disobey now and seek forgiveness latter. You are on thin ice at best and likely someone god never knew. Since I know that it’s god’s choice who is saved, you may not get another opportunity to repent. Somehow, people who delay obedience, typically remain disobedient. God isn’t mocked. Those of us truly saved are the body of christ. Our purpose is to glorify god. Debasing your body with tattoos, listening to a steady stream of foul lyrics or conversation, ignoring psalm 1 and rom 1 and doing exactly what the unsaved do, expecting others to look the other way will not condemn anyone to hell. It does reveal that you arent saved, and dont have the holy spirit to guide you. Evidence of salvation is a redeemed life. Redeemed, not perfect. Yes…Jesus is the head of the church. It is God’s will that ALL be saved and that none should perish…but it is up to the individual to accept what Jesus has so freely provided for us through His sacrifice. It’s not about trying to be good enough…because NONE are good enough….ALL of us have sinned…only through His GRACE are we saved through FAITH in Jesus alone. As far as tattoos…you have to let go of religious traditions and know what the scripture says. 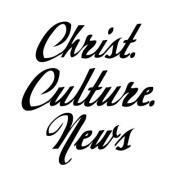 Note this article here on Relevant Christian. Live in the Grace of Jesus Christ! Spoken like a true armenian. Unfortuneately, the bible doesnt support that view. Only elect can truly follow christ. It is God’s will that ALL be saved and that none should perish…but it is up to the individual to accept what Jesus has so freely provided for us through His sacrifice. The problem is our fallen will. When saved, we want to obey god. Paul spoke about out old and new man struggle. With the guidance of the holy spirit, god will sanctify us. However, the issue of tattoos questions god’s standard, not our ability or inability to follow the standard. God said don’t tattoo. He meant it and didn’t change his mind. God’s moral law isn’t man made tradition. Its god’s unchanging will. When god says go away i never knew you, you sons of lawlessness, he equates salvation to obeying the law now written on our hearts, and disobedience to be caused by a lack of salvation. It is impossible to please god if you judge his moral law as being outdated or inconvenient and choose to ignore it. Live in the Grace of Jesus Christ!It is God’s will that ALL be saved and that none should perish…but it is up to the individual to accept what Jesus has so freely provided for us through His sacrifice. God saves the elect without merit on our part. The saved receive holy spirit which has the effect to make us want to honor and follow god. God’s moral law is god’s will for everyone. It never changes. Ever. Accepting god’s standard is different than our inability to obey it perfectly. The new and old testament is clear that god wants us to be lawful (ie obey his moral law/ will). To be saved by God is to be known by him and to accept god’s judgments. Through sanctification, we learn to obey god. God told his people not to fall for worldliness and sin. God unequivocally told his people not to tattoo themselves. He didn’t give all his reasons. He did say he expected us to be like him – holy. Tattoos violate god’s view of holiness. That’s god’s stated view. So what, you ask? Our sinful road began at the tree of good/ and evil and continues with our fallen desire to be god and choose what we want to be good or evil. Some things never change. Fact: god commanded his people not to tattoo themselves. Fact: those save by christ are in christ and therefore adopted/included among his people. Fact: even israel must accept christ to be perfectly forgiven. Fact: everyone is born in original sin and deserve hell. Fact: god must intervene for anyone to be saved. Fact: jesus’ blood only covers the elect saved by him. Fact: the old testament law is no longer necessary for the saved only because the saved fully accept god’s standard ( its written on our heart). This doesn’t mean that god no longer cares about his moral law. To the contrary, he sacrificed his son not only help us but make us obey his moral law. Fact: the true church of god is the bride of christ, the body of christ, the temple of god, created to be the holy glory of god. Fact: god ‘s testimony about us matters, our testimony doesn’t. Many who claim to belong to christ don’t. The only test that god provides us to know who belongs to him are those who accept his standard and actively pursue his righteousness. So…are you saying that because I may have tattoos, and I do, that I am not holy? What do you do with John 3 or 2 Peter 3 or 2 Corinthians 12 or James 2?